Going to nursing school is a major decision, as it will take significant time to complete, and cost a great deal of money. However, nursing school is often seen as a very worthwhile investment, and opportunities such as the Loyola University Accelerated Nursing Program allow a student to complete the program in a shorter period of time than with normal nursing programs. The nursing school at Loyola University is the oldest baccalaureate program in Illinois, and is located now at Loyola’s Maywood Campus. The first BSN class was admitted in 1935, and since then, students at the Marcella Niehoff School of Nursing have been excelling. The school strives to instruct students on critical thinking and the importance of safe nursing care, in addition to careful training in analyzing difficult situation and making important clinical decisions. 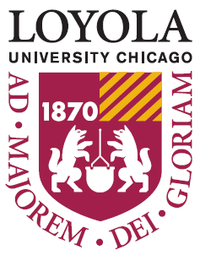 Loyola University offers the Accelerated Bachelor of Science in Nursing, or the ABSN. This program is ideal of students who are interested in a nursing degree, but who have a non-nursing bachelors degree. Students who wish to complete the Loyola University Accelerated Nursing Program must have a strong cumulative GPA from their undergraduate study, as the course work is quite demanding. The program follows that of the traditional BSN, but the nursing program is compressed, which allows it to be completed in a shorter amount of time. Additionally, in order to complete the requirements of the degree within the shorter given time period, some of the core requirements and perquisites that exist in the traditional BSN program are altered. However, the basic foundation of the degree remains the same, and students who complete the Loyola University Accelerated Nursing Program are equally equipped to provide the highest quality care to all of their patients.